Intrepid business students have been praised for the bespoke work they have carried out for a range of regional companies. David Norris, Lauren Dixon, Eleanor Donaldson, Kathryn Gunn, Richinda Taylor, Caitlin Armstrong, Simon Hanson and Paige Wilton. Over 80 Teesside University students have worked with 21 regional businesses to put their knowledge and skills into practice and come up with solutions to a range of real world challenges. It formed part of the Teesside Business Clinic, which matched groups of students to work with companies on multiple projects over a four month period. One of the projects saw six students team up with EVA Women’s Aid in a bid to recruit more volunteers – particularly older volunteers. EVA Women’s Aid is an independent charity which supports survivors of domestic abuse and sexual violence. Although it does have full-time members of staff, the charity does rely on volunteers to help it continually improve its services. The six students, all in the second year of their BA (Hons) Business Management, conducted in-depth research and questionnaires to find out more about what makes people volunteer and the differences between age groups and how they engage with volunteering. They have devised a business plan and marketing strategy which EVA Women’s Aid can now adopt to recruit additional volunteers. Richinda Taylor, Chief Executive of the charity, was thankful for the support of the students and glad to team up with Teesside University. She said: 'We have really strong links with the University. Most of our victims are female and it was great to work with six female students to get a fresh perspective and ideas about what we, as a charity, can do to increase the number of volunteers we have. The Business Clinic provides a professional environment where students can develop their skills and tailor them in order to provide a bespoke service to businesses in the region. Lauren Dixon, was one of the students who worked on the project for EVA Women’s Aid. All of the companies supported this year by Teesside University Business Clinic are part of the Federation of Small Businesses (FSB). Simon Hanson, Development Manager for FSB North East, said: 'It has been a really positive experience working with Teesside University. The students have been fantastic in terms of identifying the challenges and coming up with solutions for a range of bespoke projects. 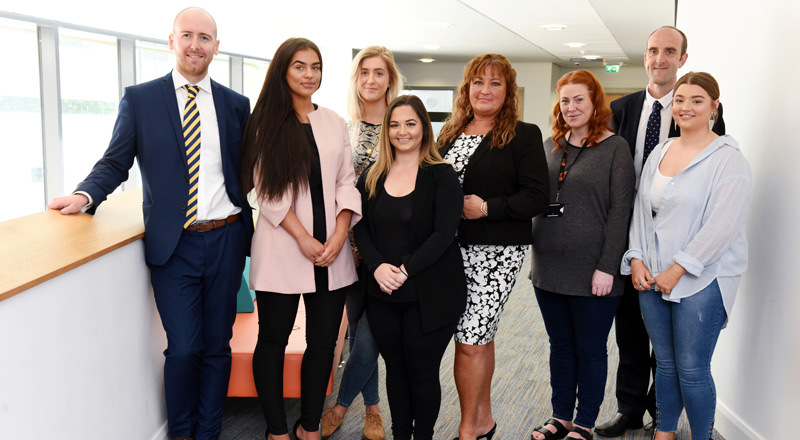 David Norris, Associate Dean (Marketing and Recruitment) in Teesside University Business School, said: 'The Business Clinic has been extremely successful and we are delighted to receive such positive feedback from students and businesses alike. Intrepid business management students have been praised for the bespoke work they have carried out for a range of regional companies.